Families around the country look forward to the Easter holidays. This long weekend comes as a welcome break to parents and children alike and, usually, brings with a little sunshine to break from winter’s grip. But what to do!? These four days bring with it festive meals, family adventures and visits from relatives. While we can’t help with relatives or food, we have come up with interesting Easter adventures to entertain the whole family. Easter has a long and rich history. Going back to our earliest ancestors, Easter has been an important event that has been adopted and shaped by religion and history. 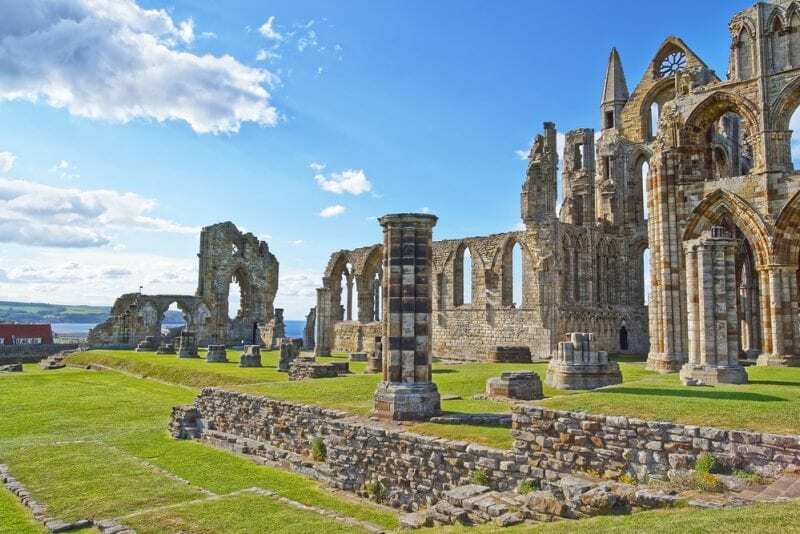 Turn Easter into your own Indiana Jones adventure with a trip to a famous English Heritage site. Informative and active, this activity is great for the whole family. If the weather’s nice, pack a festive picnic and enjoy the sunshine in the great outdoors. For a more educational and engaging experience check out the English Heritage website. They have a wide range of activities from how to make shields and swords to understanding the mythical creatures seen on family crests and flags. If exhilaration is more your speed, Adventure Experience has an amazing aerial in Altitude Adventure’s sky trails. 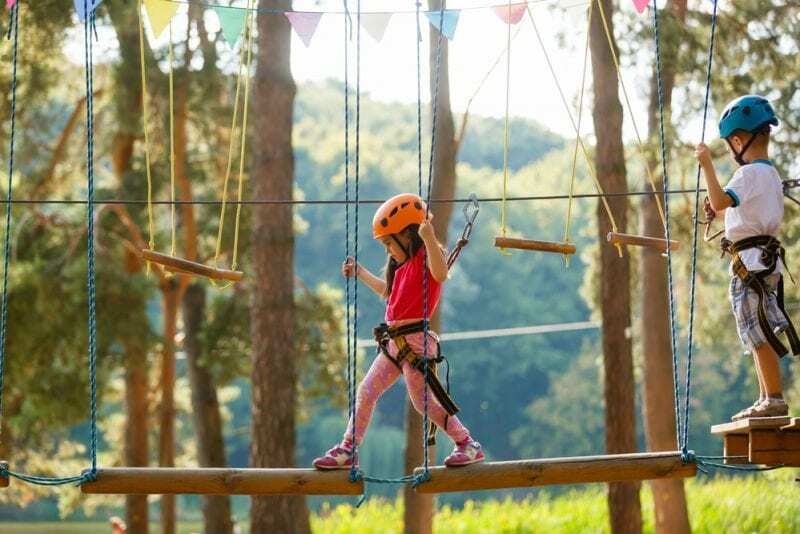 This exciting high ropes course features an assortment of obstacles to get your heart pumping. Swinging rope bridges and floating planks are just a taste of what’s on offer with over 30 unique challenges awaiting you. This high ropes course is perfect for the whole family and even for parties, corporate events and stag or hen do’s. This high ropes course is the perfect way to shake up Easter and burn off some of those chocolate calories. Altitude Adventure is also committed to safety with their unique overhead track system regarded as one of the safest in the world. This safety gives you the ultimate freedom to create your own journey and experience some truly exhilarating family fun. The Easter Egg hunt is a staple for families around the UK. 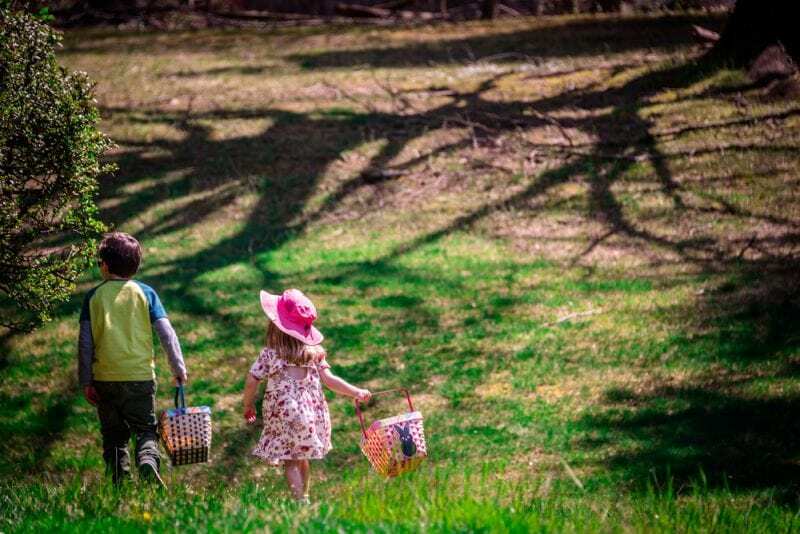 Almost everyone has a tale of excitedly running around the garden looking for chocolate eggs. This tradition is fun, easy to set up and provides your family with an active and exciting way to celebrate the Easter holidays. It’s not just chocolate on offer as you can things up with some interesting and unique Easter egg hunt ideas. If you’d like to ditch the chocolate, why not write some fun rewards on slips of paper like ‘Stay up 30-min later’, ‘Movie night’, ‘Boardgame night’ or ‘Choose a restaurant for dinner’. These rewards, and whatever else you can think of, will give your little ones more agency and limit their sugar intake. Alternatively, you can turn the classic Easter Egg Hunt on its head with a fun, competitive element. 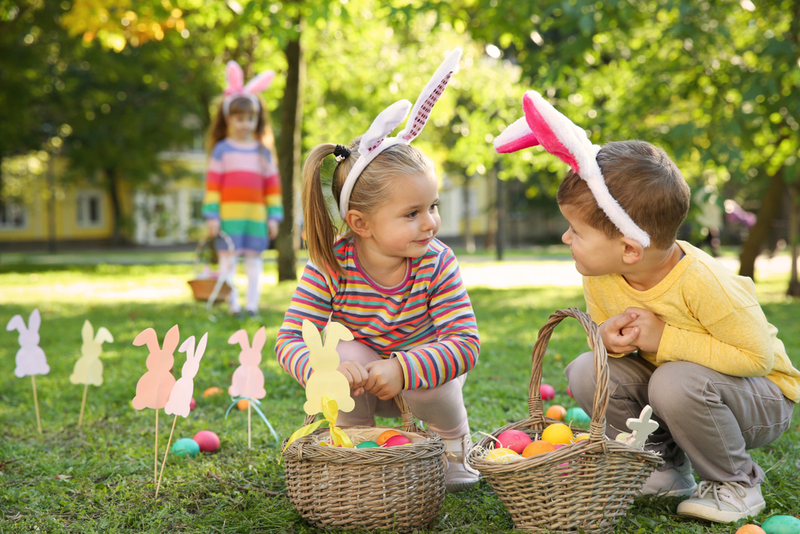 With a little more planning you can create an Easter egg treasure hunt. Riddles, clues and puzzles will test your family’s mettle with a sweet treat at the end. For a real laugh, switch the roles. Let your kids set up the hunt with the parents sent on the chase. 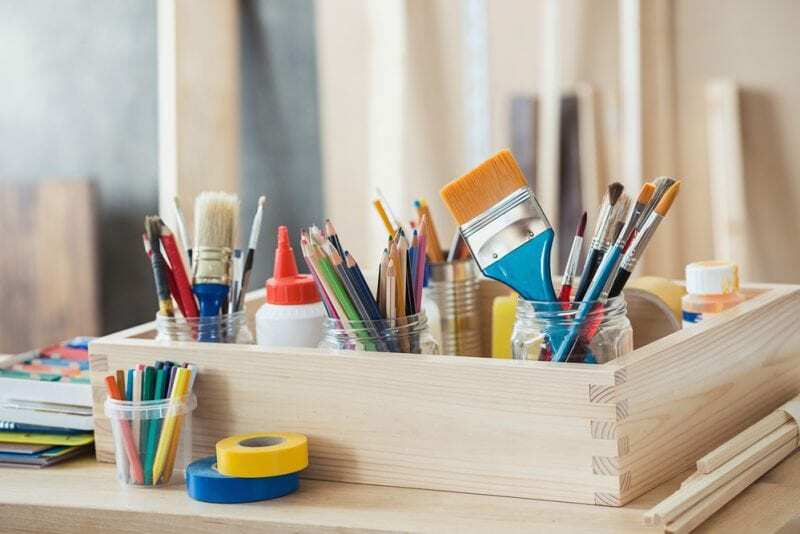 It’s sure to shake up the usual routine and give your kids some freedom to express and experiment. Adventure golf is an awesome day out, perfect for the Easter weekend. Whether taking the kids out for some fun, settling a score with a sibling, or looking for a unique date idea, Adventure Experience’s courses are a must. With several locations, including Pirate Cove, Dinosaur Safari, Dinosaur Escape and Jurassic Falls, these exciting and challenging courses provide hours of fun. Adventure Experience has years of experience in creating memorable adventure golf courses. Boasting 18-hole golfing adventures, you’ll cross bridges, rivers, and waterfalls, narrowly avoid monstrous dinos all in the pursuit of scoring that elusive hole-in-one. So make the most of the long weekend, enjoy the sun and try your hand at this thrilling activity. Adventure Experience has something for everybody from mini golf to mini quads, high rope courses to gogo boats. Getting crafty with paints, fabrics and other materials is another fun way to mark the occasion. Decorating eggs is a classic activity and can be substituted with or added to other activities such as designing a Spring hat or even making your own chocolate eggs. Other activities include baking hot cross buns, making games such as ‘Pin the tail on the rabbit’ and making table decorations for Sunday dinner. All of these activities can be tailored to suit children of all ages and provide a welcome break from the usual routine. Don’t let Easter slip you by. Plan something epic for the family now and you may have just found the Easter tradition to make memories for a lifetime.